Product description: 1867 $2.5 PCGS AU58 21998676. PCGS Population: 8, 8 Finer. Mintage: 3,200. 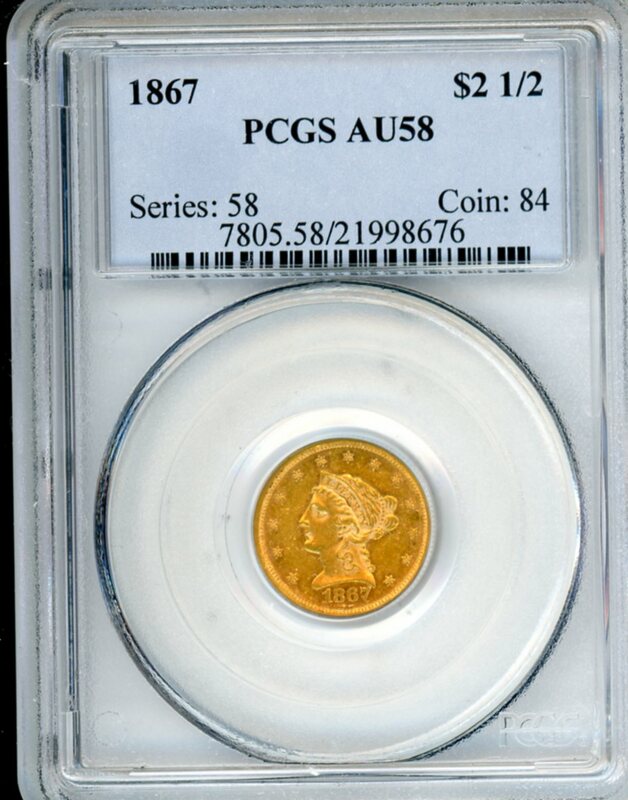 1867 $2.5 PCGS AU58 21998676. PCGS Population: 8, 8 Finer. Mintage: 3,200.